Andrew Pastides (Walter 1) shares some hints, thoughts, and feelings about working with John Kolvenbach, and being back at the Magic Theatre! What is your favorite line in Reel to Reel (it doesn’t have to be yours)? I can’t tell you my favorite line but here are a few clues: It’s the unconscious impetus for behaving a certain way throughout one entire scene. It blurts out unanticipated. It is true to my real life as well as my reel life. 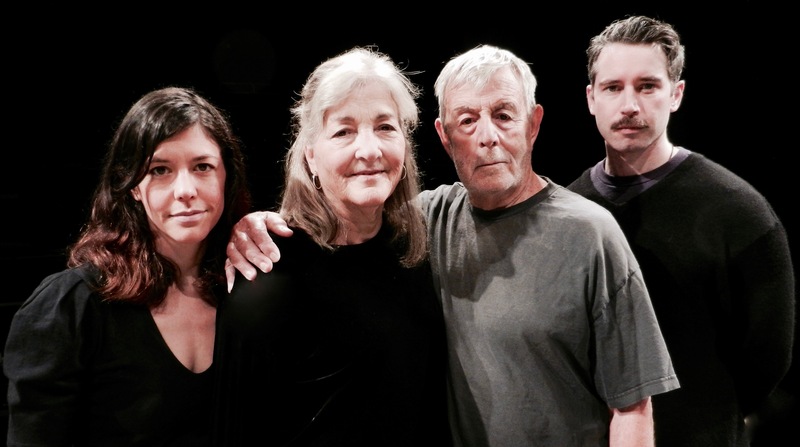 Zoë Winters, Carla Spindt, Will Marchetti, and Andrew Pastides - the cast of Reel to Reel. Photo by Julie Haber. You’ve worked with John Kolvenbach a few times, here and in New York. What do you like about John’s writing/working with him? Why do you keep coming back? John and Zoë and I have been working closely for many years now. This is special because it’s rare. In process, there is a lot unspoken, because it doesn’t have to be. We know each other so we can get down to business rather quickly. John’s words are it. It’s all there. Zoë is fierce and vulnerable. It’s no less then a joy to play around with these two everyday. 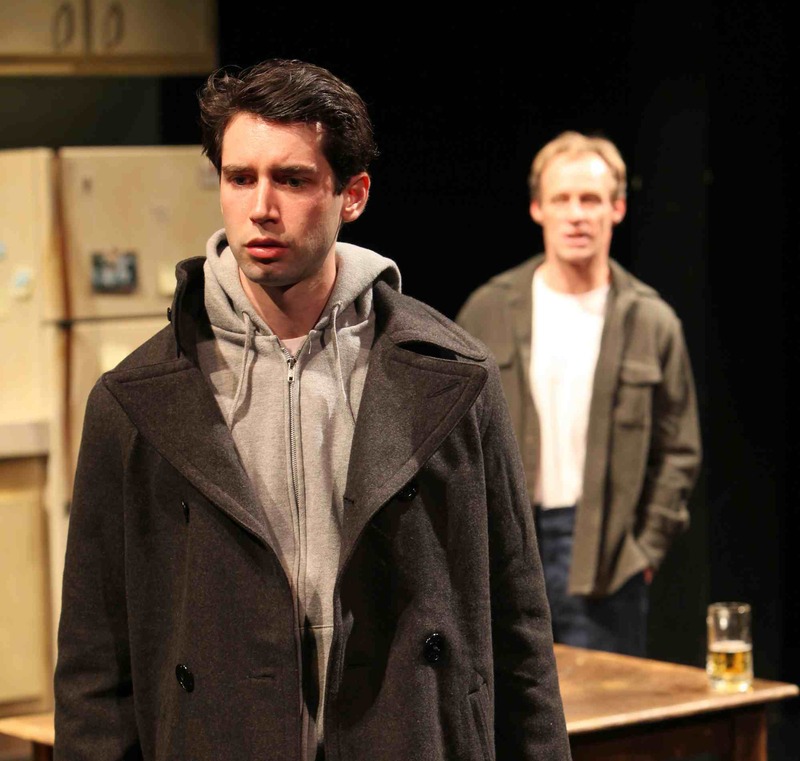 Andrew Pastides (Albert) and Rod Gnapp (Leo) in Goldfish at Magic, 2009. Photo by Jennifer Riley. Last year we asked you what other shows have you done at Magic and you mentioned Goldfish. Now I’m wondering how you feel being back after Fool for Love last season. Magic has become a home to me. A safe house. Because of Loretta and her trust. I’ve sort of grown up here, or at least, cut my teeth here. I pinch myself about that. I’m pretty lucky. Andrew Pastides (Eddie) in Fool For Love at Magic, 2017. Photo by Jennifer Riley.